Full-time faculty at rank of Assistant Professor available in July 2018. Myeloma Institute (www.myeloma.uams.edu), University of Arkansas for Medical Sciences, Little Rock. Leading center for treatment of multiple myeloma with 300 stem cell transplants annually. Excellent exposure to Hematology/Oncology and Infectious Diseases. Duties include inpatient care of patients with multiple myeloma and other malignancies undergoing stem cell transplantation, chemotherapy-related complications, cancer complications, cancer chemotherapy, and collection of stem cells for transplantation. Qualified candidates must have MD or equivalent, must have completed Internal Medicine residency, and must be eligible for Arkansas medical license. Sponsorship of H1-B Visas available. The University of Arkansas for Medical Sciences was founded in 1879 by eight physicians. 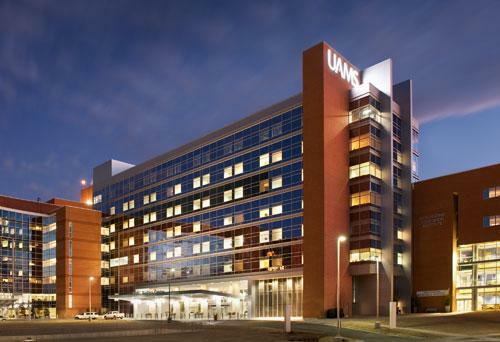 Today UAMS is the state’s only academic health center, part of a statewide network of postsecondary education institutions of the University of Arkansas System governed by a 10-member Board of Trustees. Little Rock is located in a beautiful part of the country. There are many state parks that are well maintained and offer ample opportunities for outdoor activities. Little Rock, with a population of nearly half a million, has ranked #1 in “America’s 10 Great Places to Live” by Kiplinger’s Personal Finance Magazine in 2013 and one of America’s “Five Secret Foodie Cities” by Forbes Travel Guide in 2014. Little Rock thrives in “New South” culture, offering a booming nightlife, entertainment, and dining scenes. The city is also home to 15 miles of scenic riverfront walking and cycling trails, along with one of the longest pedestrian and bicycle bridges in America. One highlight is that golf can be played 12 months a year. Arkansas is famous for its green timber duck hunting, bass fishing and even trout fishing on the world famous White River tail water. The Buffalo River, a pristine floatable 120-mile long protected national park is two hours from downtown Little Rock. Travel is relatively easy due to the close proximity of the Little Rock National Airport and a number of interstate highways. Memphis is 140 miles east, St. Louis is 360 miles north, Dallas is 325 miles southwest and New Orleans is 420 miles south. Moreover, the Little Rock School District has approximately 25,000 students, who are educated in 50 schools throughout the system, and is also the home of the University of Arkansas at Little Rock.